UCD students vote to disaffiliate from the Union of Students in Ireland, in a major blow to the national umbrella union. USI president John Logue. Students in Logue's alma mater, UCD, have voted to leave the national union - a major financial blow to USI. STUDENTS IN UCD have voted to leave the national umbrella body of student unions, the Union of Students in Ireland. Students voted by 64.5 per cent to 35.5 per cent to end UCD Students’ Union’s membership of USI. The vote came despite the support of many of the union’s full-time officers for remaining affiliated to the body, and a deal struck last week between USI and UCD SU president Rachel Breslin to reform USI structures if UCD remained affiliated. The proposed reforms had included the introduction of direct elections for the USI presidency – replacing the system where presidents are currently elected by delegates to an annual congress – and a review of the affiliation fee structure. UCD Students’ Union will formally disaffiliate from USI a year from now. The vote comes one day before a referendum in DCU on whether to rejoin the national union, which it has been outside of for several years. UCD’s vote is a major blow to the national union, and particularly to its president John Logue, who himself is a former UCD student. 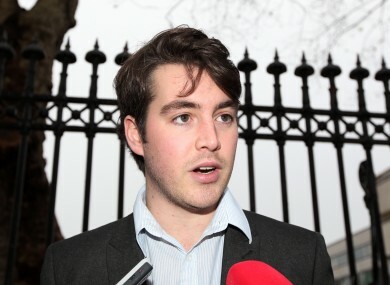 In a statement this afternoon Logue said he felt students were not given the opportunity to hear the full case for remaining within USI, due to referendum rules which prevented USI officers – except those who were themselves former UCD students – from campaigning on campus. “Throughout the referendum campaign, students who favoured disaffiliation felt that UCDSU should adopt a more local focus for the foreseeable future, in light of its financial difficulties,” he said. We recognise the unique circumstances in UCD. It’s clear that the decision taken by its students is not reflected in referendum results elsewhere and while we are disappointed to lose their voice from the national union, we respect their decision. USI, which has had significant financial trouble throughout the last decade, will now be without a near six-figure sum in affiliation fees from the country’s largest university. UCD Students’ Union has also encountered financial difficulties in recent years, which stood as a major motivating factor in the referendum result. Students’ unions in member colleges pay affiliation fees to USI of €5 for each full-time student, and €2.50 for each part-time student. The vote in DCU – which was due to be completed today, but which has been put back until tomorrow due to internet outages on its campus – could also be affected by the result in Belfield. Another referendum on USI membership is being held in NUI Maynooth, which is a member union. Last autumn, the students’ union in Trinity College Dublin voted to remain affiliated to USI. In a separate referendum, UCD students voted to reintroduce the position of a full-time Entertainments Officer, which was abolished last year as a result of the union’s financial turmoil. The referendum was passed by a margin of three-to-two. However, the total poll in the Ents referendum fell just short of the 12.5 per cent turnout needed to reach a quorum, meaning the outcome is irrelevant. The USI referendum was subject to a lower 10 per cent quorum which was easily met. Email “UCD students vote to leave national students' union”. Feedback on “UCD students vote to leave national students' union”.